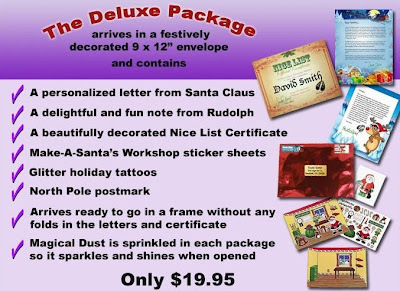 FREE Deluxe Personalized Santa Letter Package! Here's another awesome Plum District deal....this one is FREE! You'll need to be a new Plum District member so you can get the $5 sign-up credit, and then like them on Facebook to get a $5 promo code. You can use the $20 SantaWillWrite credit for anything on the site. So, you can get the Deluxe Package (see pic above to see what you'll get!) or Postcard for free, or you can use it towards the Ultra Deluxe Package.